Sandmeyer is celebrating the 2017 Holiday season with our traditional Christmas lunch, pageant, and distribution of turkey baskets on Friday. After that, we will be closed from Monday, December 25th, through Monday, January 1st. During this time, our production department will be closed with the exception of 24-hour emergency service, and sales representatives will be available to provide quotations, take orders, and confirm shipping requirements. We will be open for normal business on Tuesday, January 2nd, 2018. We thank our loyal customers for their business this year, and wish you a Happy Holiday Season. Here is a recent job made of Alloy 304, 1/2″ thick. We cut to the customers exact specifications to create these large, intricate shapes. 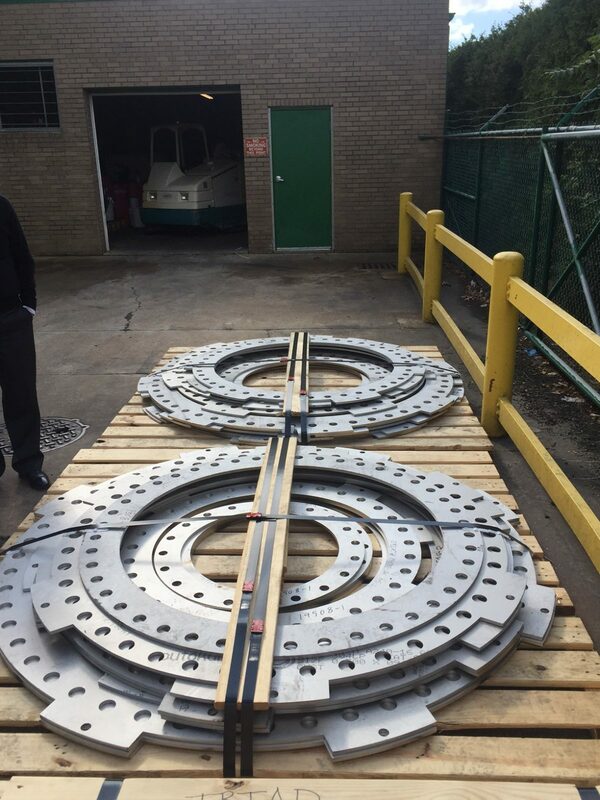 It was delivered to our customer who is a designer and manufacturer of custom expansion joints.